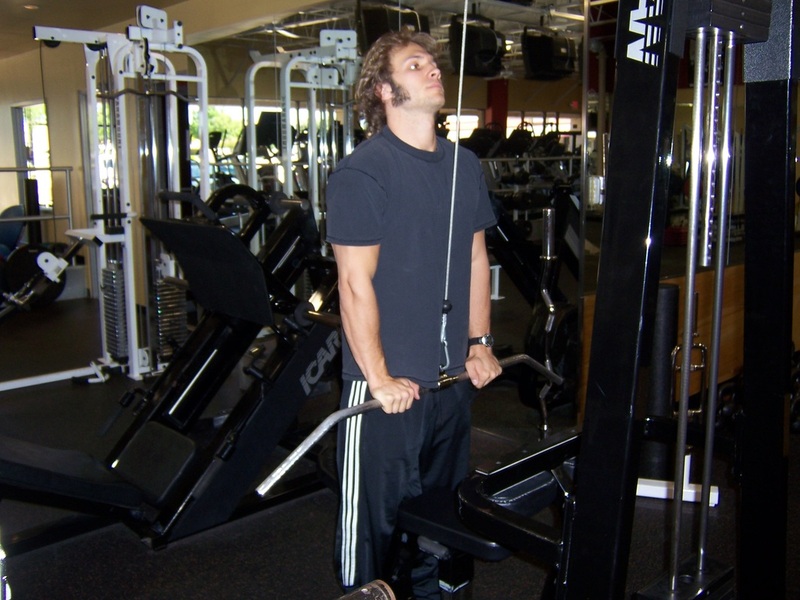 Dallas Personal Trainer - A good exercise for the triceps, but its not quite worthy of the massive popularity that Dallas personal trainers often seem to give it. 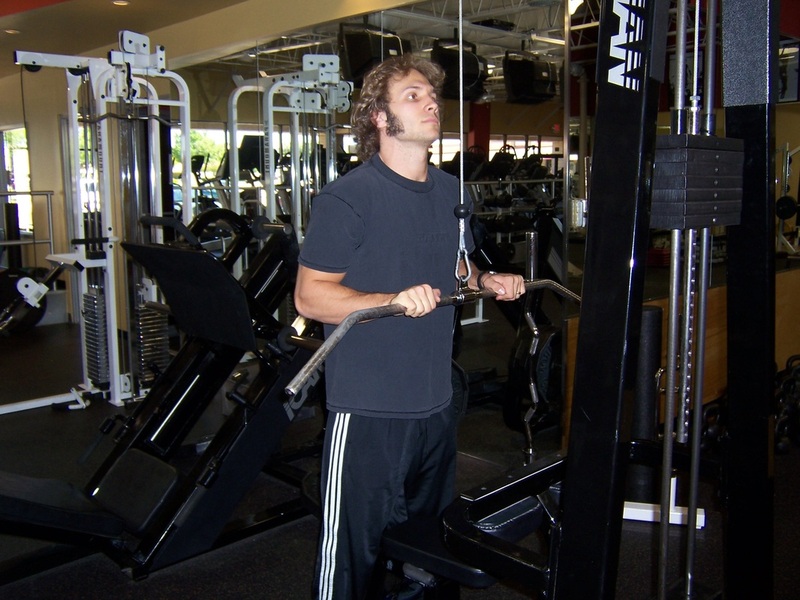 Using a straight bar on the cable machine, face the machine, and extend your arms downward by flexing your triceps intensely. Make sure that you keep your elbows stationary and tightly tucked at your sides.